Costco Wholesale – Stan Tashman & Associates, Inc. The holiday season started strong at Costco where U.S. same store sales advanced 7 percent during the company’s first quarter ended Nov. 23. Total company sales during the period increased 7 percent to nearly $26.3 billion from $24.5 billion. Membership income grew slightly slower, advancing 6 percent to $582 million. Same stores sales excluding the effects of the strengthening U.S. dollar and fuel price deflation were 7 percent and U.S. and international locations. Profits during the period increased to $496 million, or $1.12 per share, three cents better than analysts’ consensus forecast, compared to $425 million, or 96 cents a share the prior year. Costco end the quarter with a total of 671 warehouses, including 474 in the United States and Puerto Rico, 88 in Canada, 34 in Mexico, 26 in the United Kingdom, 20 in Japan, 11 in Korea, 10 in Taiwan, seven in Australia and one in Spain. 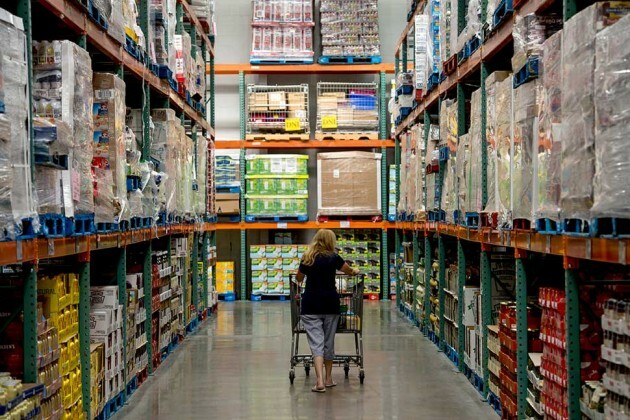 Amid an uncertain retail environment, warehouse giant Costco posted strong results with 6% growth in comparable sales and 3% rise in net income. While the company’s revenues topped estimates, its earnings per share fell short by a small margin. Costco’s earnings per share came in at $1.07, while analysts wereexpecting the figure to be around $1.09. Unfavorable foreign currency fluctuations had a negative impact of about $0.03 on the retailer’s EPS and 5 percentage points on its international comparable sales growth. Excluding the impact of currency fluctuations and gasoline price deflation, Costco’s U.S. same-store sales increased by 6% and international same-store sales increased by 8%. Increasing membership signups, rising membership fees and improving renewal rates boosted Costco’s results, and we expect this trend to continue in the future as well. The retailer recently opened its first store in Spain, where it hasinteresting growth opportunities. Costco’s online sales continued to grow at a robust pace in all its markets, which is a promising sign for the company. Overall, Costco appears to be headed towards a bright future. Our price estimate for Costco stands at $121, implying a premium of less than 5% to the market price. However, we are in the process of updating our model in light of the recent earnings release. Over the last few years, Costco has seen a noticeable increase in the number of new members. While the retailer added 2.3 million members in fiscal 2009, more than 4 million customers signed up in fiscal 2011. The retailer’s membership base saw a rise of 3 million in fiscal 2012 and another 4.2 million joined Costco in fiscal 2013. Strong membership growth continued in fiscal 2014 as well, which is evident from strong third quarter data. New membership signups increased by 1% during the quarter with the addition of 1.2 million cards. The business member renewal rate improved to 94.4% in Q3 from 94.3% in Q2 and the Gold star renewal rate moved up to 89.7% from 89.6% in the previous quarter. Overall, renewal rate in the U.S. and Canada reached 90.6% from 90.4% (Q2) and in international markets, it soared from 86.8% in Q2 to 87.3% at the end of Q3. Executive members play an important role in driving Costco’s sales as they represent one-third of Costco’s overall customers and two-third of its revenues. These members pay $110 as membership fee (as opposed to $55 paid by other members) to get 2% (maximum of $750) annual rewards on their purchases. Interestingly, the proportion of executive members in the overall membership base has been rising historically. During the quarter, over 300,000 new executive members joined Costco with total membership signups at 1.2 million. The proportion of new executive members in total new members was somewhat in line with historic averages. 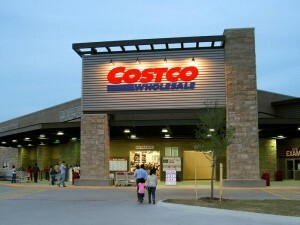 As evident from its robust growth, Costco’s business model appears to be resonating well with international customers. Encouraged by the pleasing customer response, the company has been gradually expanding in key international markets such as the U.K., Mexico and Canada. During the third quarter, Costco opened one store each in Japan and Korea, as well as its first store in Spain. Given the region’s weak economic environment, buyers are likely to welcome a money saving shopping option in the form of Costco. With the right marketing and an optimum emphasis on essentials such as groceries (high demand in Spain), the retailer can acquire a strong customer base. Since Costco has a very small presence in Europe, a successful launch in Spain can facilitate its expansion in a number of markets. Moreover, the company operates just 173 stores in seven countries, out of which 120 are in Canada and Mexico. This presents strong growth opportunities in Japan, Taiwan, Korea, Australia etc. During the third quarter, Costco’s online business continued to grow at a robust pace backed by its website re-platforming, several new mobile apps, and the launch of new product categories. Following 20% growth during the second quarter of fiscal 2014, the retailer’s e-commerce revenue rose by 15% in Q3 fiscal 2014. We believe that this growth is likely to continue in the future as Costco’s online channel is at a nascent stage and accounts for just 2.5% of its net sales. Furthermore, the company’s e-commerce strategy, increased product categories and better inventory management will assist its online growth. 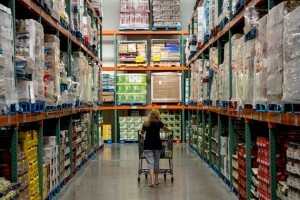 About 80%-90% of products offered on Costco’s website are different from its store inventory. This prevents self-cannibalization between these two channels. Over the last year, Costco has added new product categories such as apparel, health and beauty aid. The retailer has also improved its shipment timings by shipping three depots instead of one. Costco currently operates its e-commerce operations in three international geographies – Canada, the U.K. and Mexico. As the company enters new markets such as Japan, Australia, Korea etc. in the future, its online business will get bigger.